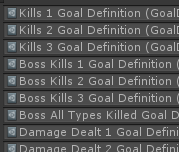 Continuing on the goal stuff, I need UI to let the player see their progress. This also helps with navigation. 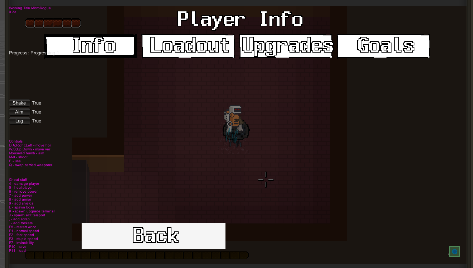 The player can access these in gameplay with Tab (or whatever UI button is bound). And it shows the all the player info tabs. I need to make the other panels too, at least stubs for now. But that is horrible UI. I can spend a day or two and make a proper UI layout for this instead. 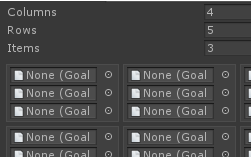 I think it’s well worth it, since all my goals will then be neatly organized. I can kind of see that I now want the fourth mob type. I also want a couple utility goals, likely repairs and crafting or some such. But I’ll get to that later. 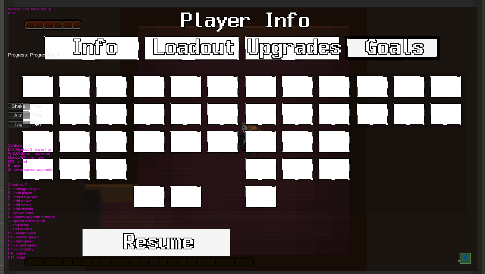 For now I need to convert this into UI. 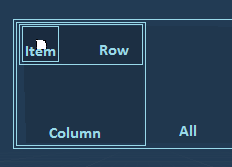 So the UI hierarchy is quite an ordeal here. Admittedly, I could have done this easier, but oh well. When have I ever done things easy. But in the end, I got it all working. 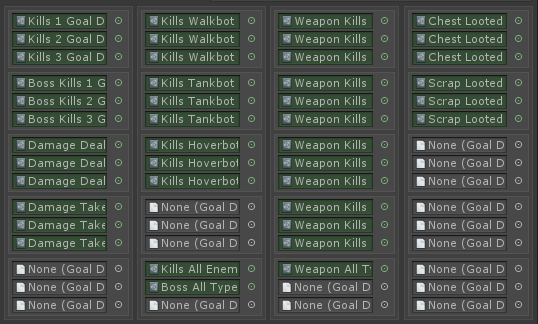 I wish I did more modularly, so I can have a UI asset for such tables in the future. And I have to reference each parent/container element and any elements I change so I can toggle and modify them at runtime. UI is really slow, even though you only see a few labels at the end of the day. I never really appreciated UI before I had to do complex ones myself, especially adjust them. 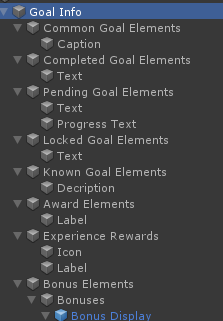 Anyway, this about wraps up the UI framework part of the goals. I will need to lay everything out neatly and use all the right sprites and fonts. 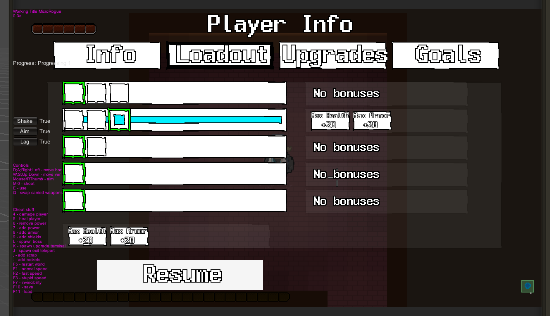 But as will all the panels, I will do so when I finalize my UI/HUD sprites.